Home renovations are always inspirational. It shows the possibilities of a boring home with an ugly outlook getting a new look that makes it a lot more modern and attractive. 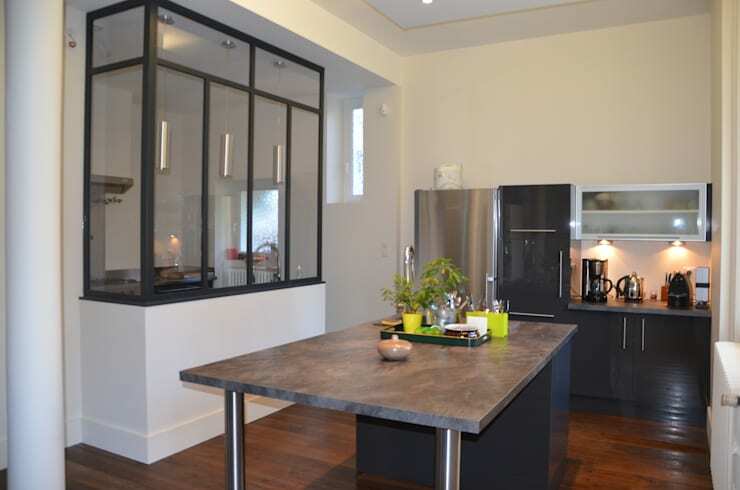 In this Ideabook, we concentrate on the renovation of a kitchen. The previous kitchen was boring and outdated, but since the upgrade, the kitchen has a new lease on life. The old fashioned cooking zone is now a thing of the past, and the team of architects ensured that the kitchen is now a lively and aesthetically appealing. Eager to see more? Well, let’s get started! 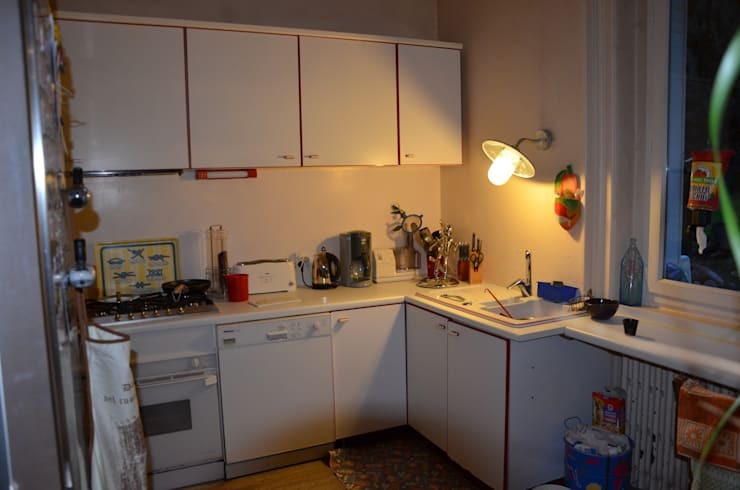 The old kitchen was unsightly, retro and ugly. Although the kitchen itself may have been functional to use, it was probably cramped and uncomfortable, with no space for those family friendly meals and just enough space to cook. It may have left the homeowner with no desire to cook or even entertain, but wait until you see the upgrade! 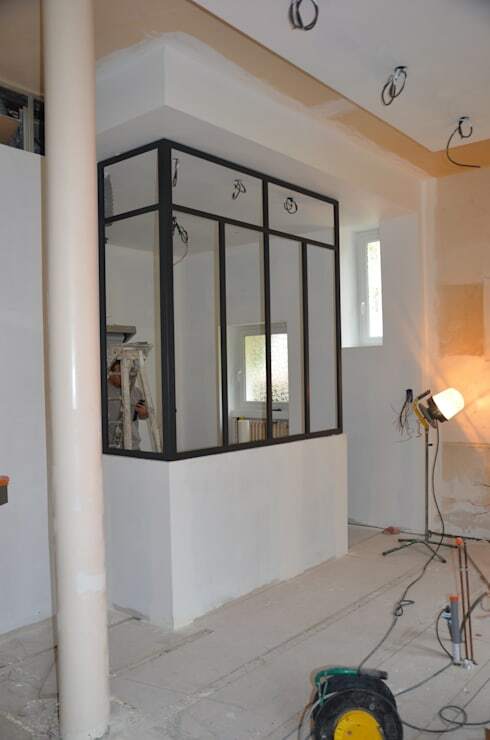 This picture was taken during the renovation, and just gives us an idea as to the sleek styling of the completed kitchen that awaits. The tarp on the floor keeps the wooden flooring neat and tidy, avoiding any bumps or bruises that will happen as a result of construction damage. This kitchen renovation is to die for! The old and ugly mess has disappeared and was replaced with a fantastic and modern gourmet kitchen that is a pleasure to admire. The space has been divided by glazing, creating a warm and functional space that is also aesthetically appealing and charming. Wouldn’t you just adore a kitchen like this? Let’s take a final look! We have come to the end of this Ideabook. But we can pay special attention to the detail of the kitchen in this image. 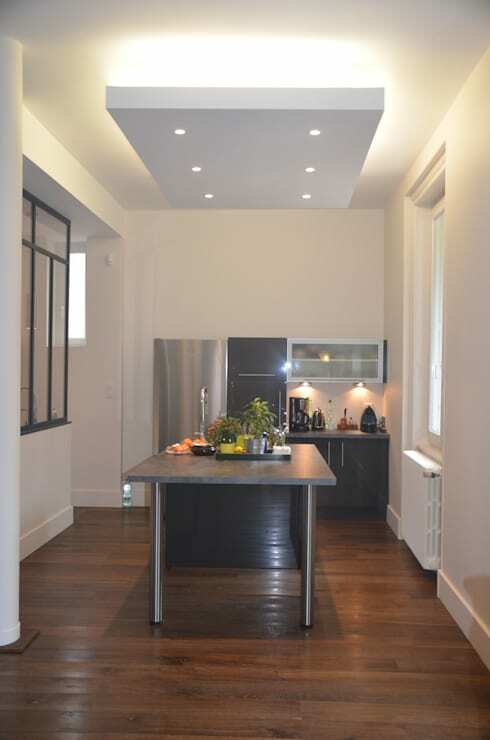 The kitchen is brilliantly illuminated and elegant with a dining area incorporated into the layout. The kitchen is a magnificent grey colour, which along with the glossy tones of the parquet flooring, stainless steel detail, and sleek appliances and glazing, makes this kitchen a top choice for a sophisticated look and harmonious environment. The attention to detail and simple features are not difficult to recreate in your own home, and may just require some creativity. If you enjoy before and after features, then The amazing renovation of this couple's tiny apartment will definitely inspire you. Would you consider a kitchen revamp such as this?